Jonathan Askey examines some of the components that will make up the self-assembly early English concertina. Folk musicians can look forward to the inclusion of a traditional English concertina among their collection of instruments thanks to the efforts of a team of craftsmen based on Manningham Lane in Bradford. 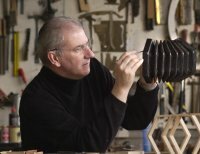 The Renaissance Workshop Company, a specialist manufacturer of early music instruments, has secured a SMART award from the DTI to help fund the development of the concertina but the company's founder, Jonathan Askey admits that the project would not have got off the ground without the support of Business Link. 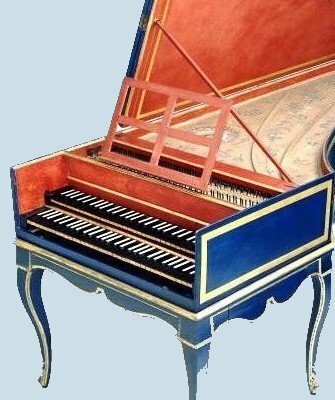 Renaissance Workshop designs and produces a wide range of hand made instruments from harpsichords to flutes that are offered to customers either complete or in kit form for home assembly. Established in 1999, the company supplies faithful reproductions to connoisseurs of renaissance and baroque music throughout the world. Our Business Link Adviser always make sure we are fully aware of current assistance and she recommended that we apply for a SMART award to finance the new product development. One of Business Link's specialist advisers on SMART awards wrote the project proposal and gave us help completing the application form which made sure that we secured the funding. Without this support we wouldn't have had time to go through the process because of all the day-to-day pressures. "Having received the funding the product development is now underway and the concertina should be available in kit form in about six months. I think that it's good that Business Link will source grants for specialist operations like ours rather than just mainstream companies." The company has just received a Yorkshire Forward Innovation Award worth £10K with Business Link's help that will give further impetus to the product development.